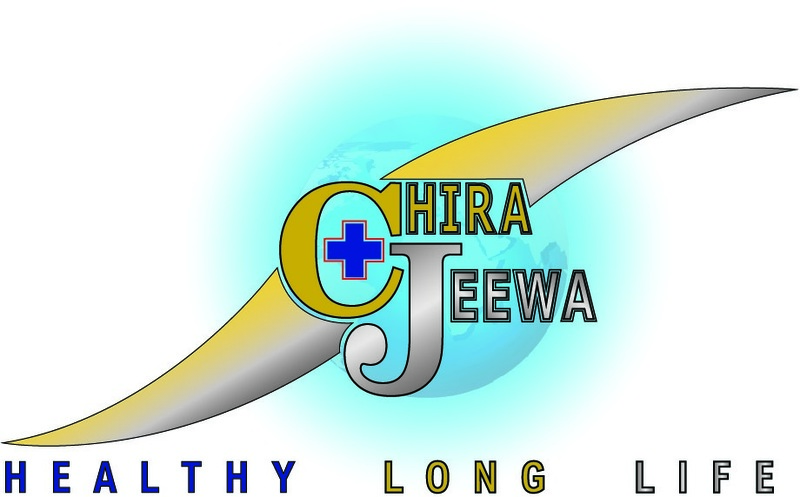 CHIRA-JEEWA medical service. 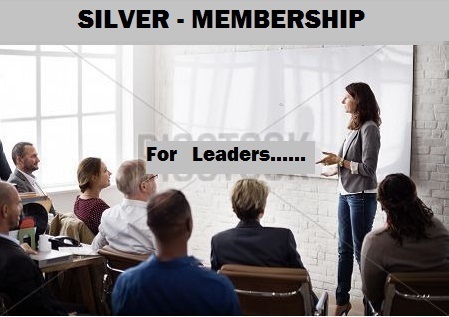 . . . . . . .චිර - ජීව වෛද්‍ය සේවය. . . . . . . . . . . . . . . .
SILVER-MEMBERSHIP ; Only for professionals & for leaders - An introductory article. This SILVER – MEMBERSHIP is designed for volunteers who can give some degree of leadership for a group of more than 15 CHIRA – JEEWA members. He / she is expected to introduce new members to the CHIRA-JEEWA mission & motivate them to maintain the membership. They are supposed to explain the value & advantages of our membership to their subordinates & to act as a referral point. A leader of a club society institute or organization, can become a silver member of our mission then he she can take the responsibility of referring & registering the members of club / society or employees working under him / her. But he /she is not supposed to directly involve with health issues of our members. He /she can indirectly motivate them to actively participate in CHIRA – JEEWA membership health care service using his/ her leadership qualities. This is kind of a social service. But our SILVEER- MEMBERS have following privileges. He / she is eligible to get a dividend from our annual profit which depends on the number of referrals he / she is doing. He / she can get the CHIRA – JEEWA health profile account created without initial registration fee after referring more than 15 individuals for our membership. He / she is eligible for special offers & discounts for his /her health care services obtaining from CHIRA – JEEWA medical service as a priority member. Speak to 15 of your eligible subordinates or friends etc. Change their minds to get the CHIRA –JEEWA membership. Please get confirmed that your NIC number has been entered more than 15 times in our information system , by double checking it with your referring members. Then apply for our CHIRA –JEEWA membership & create a health profile account in our website.This registration will be free of charge. But you have to pay the membership fee from second month onwards to maintain your health profile account. So created your health profile account will display a summary of your referrals in a separate page. This summary will show you the names T.P numbers, NIC numbers address & activity status of the CHIRA JEEWA members who are under your leadership. You can use this information to motivate them to maintain their CHIRA - JEEWA membership. 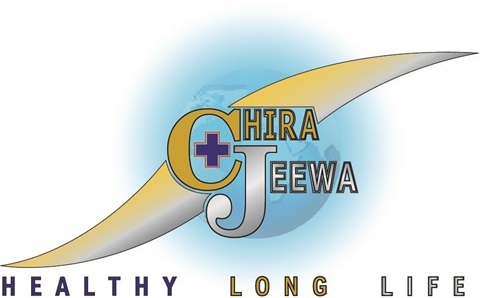 If you can maintain a large number of CHIRA –JEEWA members under your leadership without letting them to deactivate their membership half way through the journey, then you will be eligible to get a considerable amount as your annual dividend provided that you also have maintained your health profile account properly. N:B: SILVER- MEMBERS cannot view any health information of members who are under his / her leadership. It is blocked from our information system itself. Be a leader today not tomorrow ! - නායකයෙකු බවට පත්වීමට හෙට නොව අදම පටන් ගන්න ! මෙම SILVER සාමාජිකත්වය.තමාගේ නායකත්වය යටතේ චිර-ජීව සාමාජිකයින් 15 කට වැඩි සංඛ්‍යාවක් පවත්වාගෙන යා හැකි ස්වෙච්ජාවෙන් ඉදිරිපත් වන වෘත්තිකයන් සහ නායකයින් වෙනුවෙන් සැලසුම් කර ඇත. අප SILVER සාමාජිකයින්ගෙන් අපෙක්ෂා කරනුයේ තමන්ගේ නායකත්වය යටතේ පවතින මෙම සාමාජිකත්වය සඳහා ගැලපෙන පුද්ගලයින් චිර - ජීව සාමාජිකත්වය ලබා ගැනීම සඳහා යොමු කරවිමයි. එසේම එසේ ලබා ගත් සාමාජිකත්වය දිගටම පවත්වාගෙන යැම සඳහා ඔවුන්ව දිරිමත් කරමින් ඔවුන්ට මග පෙන්වීම සහ නායකත්වය ලබා දිමයි.උදහරණයක් ලෙස සමිති සමාගම් වල නායකයෙකුට, ආයතන ප්‍රධානියෙකුට. සංවිධානයක කළමණා කරුවෙකුට අපගේ SILVER සාමාජිකත්වය ලබා ගත හැකිය. ඉන් පසුව ඔහු හෝ ඇය තමා යටතේ පාලනය වන පිරිස චිර-ජීව සාමාජිකත්වය වෙත යොමු කිරිමේ වගකීම බාර ගත යුතුය. නමුත් SILVER සාමාජිකයින් කිසි විටක චිර - ජීව සාමාජිකයින්ගේ සෞඛ්‍ය ප්‍රශ්ණ වෙනුවෙන් කෙලින්ම සම්බන්ද විමක් අපි බලාපො‍රොත්තුනොවෙමු ඔහුට හෝ ඇයට තමාගේ නායකත්වය භාවිතා කරමින් ඔවුන්ට චිර -ජීව සාමාජිකත්ව සෞඛ්‍ය සේවාව සමඟ ක්‍රීයාකාරීව දායක කරවිමට දිරිගැන්වීමක් පමනක් අපි අපෙක්ෂා කරමු. මෙය එක්තරා ආකාරයක සමාජ සේවා වගකීමක් ඉටු කිරීමක් වැනි කටයුත්තකි නමුත් SILVER සාමාජිකයින් වෙන අප සංවිදානය විසන් පහත සඳහන් ප්‍රතිලාභ පිරිනැමෙනු ඇත. 1) අපගේ වාර්ෂික ශුද්ධ ලාභයෙන් ලාභාංශ ලෙස මුල්‍ය ප්‍රතිලාභ යක් හිමිවෙයි මෙහි අගය ඔහු හෝ ඇය විසින් නායකත්වය දෙනු ලබන චිර-ජීව සාමාජිකයින්ගේ සංඛ්‍යාවට අනුලෝමව සමානුපාතික වෙයි. 2) ඔහුට/ඇයට මුලික ලියාපදිංචි විමේ ගාස්තු කිසිවක් නොමැතිව චිර-ජීව සෞඛ්‍ය තොරතුරු ගිණුමක් විවෘතකර ගත හැකිය. නමුත් මෙම ප්‍රතිලාභය හිමි වනුයේ අපවෙත නව සාමාජිකයින් 15 කට වැඩි සංඛ්‍යාවක් හදුන්වා දිමෙන් අනතුරුවය. 3) විටින් විට පිරිනමන විශේෂ වරප්‍රසාද සහ අපගේ අයතනය හරහා ලබාගන්නා සේවාවන් වෙනුවෙන් ආකර්ශනිය වට්ටම් ලබාදිම විවිධ ප්‍රමුඛස්ථානයන් හිමි වීම. 1) ඔබගේ නායකත්වය යටතේ වු පිරසෙන් 15 දෙනෙකු අමතන්න. චිර-ජිව සාමාජිකත්වය පිළිබඳව සහ එහි වටිනාකම පැහැදිලි කරදී ඔවුන් ගේ මනස ඒ වෙනුවෙන් යොමුකරන්න. 2) චිර - ජීව සාමාජිකතයන් ලෙස ලියාපදිංචි විම සඳහා ඔවුන් යොමු කරන්න. එසේ ලියාපදිංචි විමේදී ඔවුන් ඹවුන්ගේ අයදුම් පතෙහි හෝ online ආකෘතියෙහි යොමුකරන SILVER සාමාජිකයා යන හිස්තැනට ඔබගේ නම සහ ජාතික හැදුනුම් පත් අංකය යෙදීමට උපදෙස් දෙන්න. 3) ඔබගේ ජා.හැ.ප අංකය අපගේ තොරතුරු වල 15 වතාවකට වඩා ඇතුළු වු බව ට තහුරු කරගැනීමට ඔබගේ පිරිස නැවත අමතන්න. 4) දැන් අපගේ චිර -ජිව සාමාජිකත්වය සඳහා ලියාපදිංචිවන්න. online ක්‍රමයට ගිණුමක් විවෘත කර ගත හැකිය.එම ලියාපදිංචිය ඔබට මුලික ලාස්තුවකින් තොරව පහසුවෙන් සිදු කරගත හැකිය. නමුත් දෙවන මාසයේ සිට ඔබ විසින් සෞඛ්‍ය තොරතුරු ගිණුමට පවත්වාගෙන යාම සඳහා සාමාජික ගාස්තු ගෙවිය යුතුය. 5) එසේ විවෘත කළ සෞඛ්‍ය තොරතුරු ගිණුමෙහි එක් පිටුවක ඔබගේ නායකත්වය යටතේ පාලනය වන චිර -ජීව සාමාජිකයන්ගේ මුලික තොරතුරු ලැයිස්තුවක්ද ස්වයංක්‍රීයව සටහන් වනු ඇත. ඔබට මෙම තොරතුරු භාවිතා කොට එම සාමාජිකයින් චිර -ජීව සෞඛ්‍ය සේවාවෙහි දිගටම රැඳී සිටිම සඳහා උනන්දු කළ හැකිය.එවිට ඔබට ලැබෙන ප්‍රතිලාභ සහ වාර්ශික ලාභාංශ වල අගයද අනුලෝමව විශාල වනු ඇත. නමුතු මේ සඳහා ඔබ විසින් ඔබගේ සෞඛ්‍ය තොරතුරු ගිණුමද අක්‍රීය වීමට නොදී පවත්වා ගත යුතුය. සැ . යු . SILVER සාමාජිකයින් හට කිසිවිටක තමා විසින් යොමුකළ චිර-ජීව සාමාජිකයින්ගේ සෞඛ්‍ය තොරතුරු පිරික්සිමට අපගේ තොරතුරු තාක්ෂණ ක්‍රමවේදය ඉඩ ලබා දී නෙමැත. The importance of leadership and effective collaboration - නායකත්වයේ සහ ඵලදායී එකමුතුබවේ වටිනාකම.